For those who want the stylish look of rims without the cost, consider wheel simulators. Sparing you the cost of aluminum or chrome, these accessories are easy to install and are great for your dually truck or van. The first thing you will want to consider is whether or not you will need to remove lugs to install the simulators. It is highly recommend that you go with ones where lug removal is not required, as the Department of Transportation has regulations for this. In addition, you will want a high quality of steel that will not turn yellow after a little bit of wear. A common grade of steel used in wheel simulators is T304L. Finally, you will want to make sure you go through a dealer or manufacturer that keeps a variety of wheel simulators in stock, those that are not universally fit and that do comply to OEM standards. To install the wheel simulators that snap into place, you want to first make sure you purchased the right kind for your make or model. They will need to be able to snap on without excessive force. For a more professional look, you may want to spraypaint over rusted rims before adding on the wheel simulators. Paint the wheel before the hubcap and make sure they are all dry before getting started. While gray and silver paint work behind chrome or silver simulators, black will probably look the best. While you are already down there working on your tires, this is a good time to check your tires and make sure they are properly maintenance. Go Industries are great with most rigs with 16, 16.5 and 24.h inch wheels. Made of stainless steel tat is rust and corrosion resistant, polished and plastic-free, these simulators easily mount with retainer rings that are form-fitting. These are easy to install, and there is no need to remove wheels or rebalance afterwards. You can even keep the wheel simulators on when you are getting your tires rotated. The kit is backed by a three-year warranty, and the covers are sold in sets of two or four.Some are sold without lugs. Eagle Flight wheel simulators use high quality T304L stainless steel and won't rot after long-term use. These shined covers come with a lifetime warranty. Unlike a lot of manufacturers, Eagle Flight sizes their wheel simulators to suit each and every kind of wheel. They stock covers for all sizes that suit every vehicle. Most of the sets of wheel simulators come with air inflation hoses, which allows for easy and quick checking of air pressure. Not only will this help with wear and tear, fuel mileage will be improved with these Teflon braided hoses with steel mounting brackets. The covers are easy to mount, complying with the Department of Technology's requirement that no lugs be removed when mounting wheel simulators. Bullet Wheel Simulators has offerings for a variety of makes and models, priced low and high in quality. They are easy to install, and there's a hotline you can call if you run into any trouble. Their over the lug simulators are sold in sets of four and are made of high-grade stainless steel, polished to a shine and with snap-on installation. Phoenix has a variety of offerings, including eight-lug designs that fit two wheel drive and four wheel drive duallys from Dodge, Ford and Chevy. 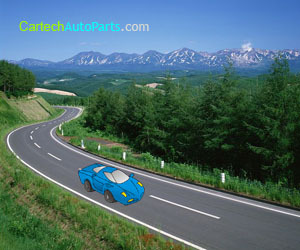 Other predominant manufacturers of wheel simulators include General Motors, Gorilla Automotive and Pacific Duallys.